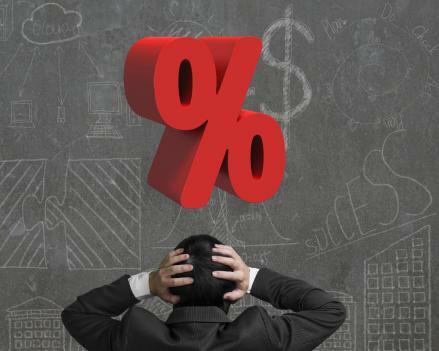 Is the interest rate system broken? Interest rates are more than an instrument of the central bank in each country; they also represent a social contract: the savers are rewarded and the risk takers pay a price for the risk. Or at least, this is the way it used to be. No longer: a situation now prevails where you’re hardly rewarded for saving and you barely pay for risk. In theory, as Michael Burry points out, this is to stimulate growth. The flaw with this theory is that growth is sluggish, even by historical standards. Real GDP growth in 2015 in the United States was 2.4%, and about 1.3% for the Euro Area. On their own, these figures are sluggish; in the context of near-zero interest rate environments, they’re dire. The stimulus shows how warped modern finance in a microcosm: in order to fix an economy which had become broken through (amongst other things, but mainly) money which was too freely available, the solution in most countries became to make money even more freely available. What’s even more warped? On some level, this decision can be justified. The justification comes in providing money to a system which was afraid to spend what it had, encouraging the flow of money throughout the economy and hopefully, funnelling money through to the most effective parts of the economy again. All noble endeavours and indeed, all have been achieved to at least some extent. It does look distinctly like at least three things have happened to the interest rate dynamic: (i) people have lost faith in the judgement of the financial system, (ii) that we have entered a truly unprecedented time, and (iii), that monetary policy will never be quite as relevant as it once was, due to the interconnectedness of the global economy. Nobody needs a lecture on how the general public has lost faith in the leaders of the financial system. Maybe what’s most telling about it all is that one of the poster boys of the financial meltdown of 2008-2011 was Alan Greenspan, Chairman of the Federal Reserve from 1987-2006. Subprime mortgages held a remarkably close correlation to Greenspan’s credibility. In 2008 Greenspan told a House oversight committee: “I discovered a flaw in the model that I perceived is the critical functioning structure that defines how the world works.” Alan Greenspan was considered “the second most powerful person” in America. In March 2015, an NBC/Wall Street Journal poll showed 70% of pollsters didn’t know who Janet Yellen is. It’s a circular argument but it’s true: the world economy is in an unprecedented time, because it’s in an unprecedented time. Money is virtually being given away by central banks and inflation is still below targets, oil is at historically low prices, and banks have begun to look over their shoulders at new innovations in finance. It is now five years since Europe’s periphery was in the midst of a debt crisis that threatened to rip the Eurozone apart. At the time, one of the common refrains was that it was inevitable because none of the countries which were worst affected could use fiscal but monetary policy – the single currency, for all its benefits, effectively forced a strange type of limbo on central banks. It may be that something similar is happening over a longer period of time with the US. A low interest rate in the US doesn’t mean as much, when the same people whom it’s supposed to convince can invest their money anywhere. And at the same time, fiscal policy is no longer a tool when large companies are resorting to tax-inversion deals. As in Europe – a strange type of Limbo for Janet Yellen. The four most dangerous words in finance are “this time it’s different” but perhaps this time it is – at least for a very short window in history. It can sometimes feel like the moment in the horror film when you’re waiting for someone to jump out from behind. For all our sakes, let’s hope it’s not too big of a shock when that does happen. 1) Prolonged quantitative easing will only derail the process of economic growth as corporate and retail customers will have to pay higher rates as rates start raising again to get to 2% level (US FED). Interest will also be higher as debt levels are now even higher. 2) "Global" or more interconnected economies will mean that central banks are entering into a phase of competitive devaluation of their currencies to prep up much needed growth by attracting FDI/FII. Hence, monetary policy and interest rates become even more relevant now than being any less important. intents and purposes being given away by national banks and expansion is still underneath targets, oil is at truly low costs, and banks have started to investigate their shoulders at new advancements in fund.